Retirement is the culmination of a lifelong journey for most. As Americans, we work and save and sacrifice for a long time with hopes that someday we will have amassed a large enough nest egg that we can retire and live off of our assets. Programs like Social Security and company pensions help some, but most of today’s retirees are forced to save through company savings plans. As these plans have grown, so have the common mistakes that retirees and near-retirees make as they make their final preparations. We have outlined 4 very common and very influential mistakes that you should try to avoid. 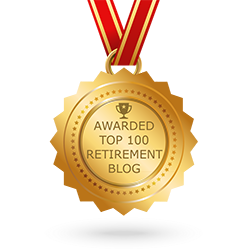 Do you want your retirement to last? Do you want to stay retired? Following these simple rules could increase your odd tremendously! Listen in next week to Income For Life Radio as we discuss the 4 Retirement Blunders You Need To Avoid and keep checking for our national podcasts from previous shows on our website at www.IncomeForLife.org.